Floating shelves have been popular for a while, but buying a matching set can be pretty pricey. Kim has a great tutorial on her site that will show you how to build floating shelves and install them. The best part is that with Kim's tutorial you can customize everything from the size to the trim that you use, so they will be exactly what you want for your space. 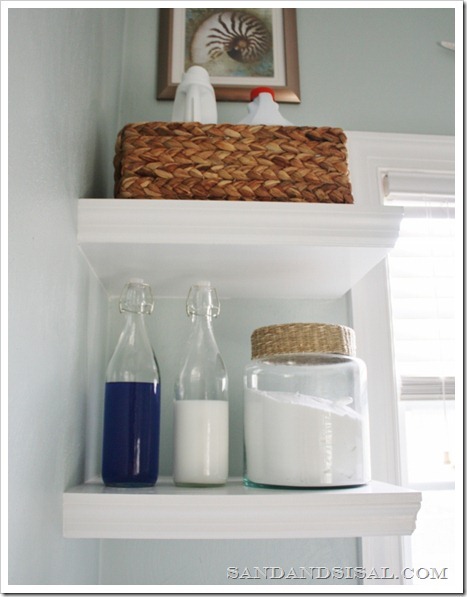 You can check out these DIY floating shelves over at Sand and Sisal. I could use some of these shelves for my house in moore ok apartments. Ack! I just now saw this! Thank you so much for the feature Lorie! I appreciate it!!! !